LOBO Scaffold Platform System. Safe Fall Prevention Scaffold Platforms. 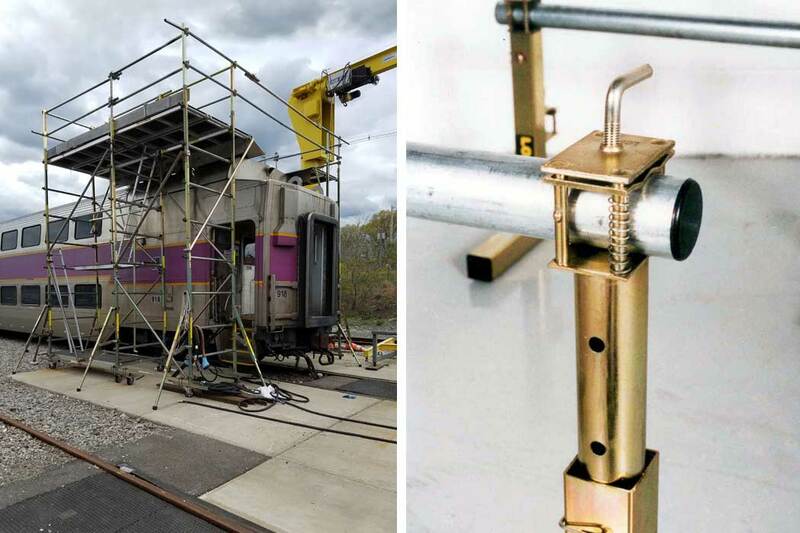 The unique modular labor saving portable scaffolding system is based around a patented no tools clamping design. Anyone can assemble these custom work platforms without specialized tools. Our portable scaffold platform systems can be assembled into virtually any configuration, shape or size, in a matter of minutes and is easily transported by flat-pack or crate. Great for aerial work. LOBO Adjustable versatile portable safety platforms combine the flexibility of scaffolding with the strength of aluminium tower systems. Safety at heights, Easy, Adjustable & Modular. LOBO for fall prevention & fall protection.